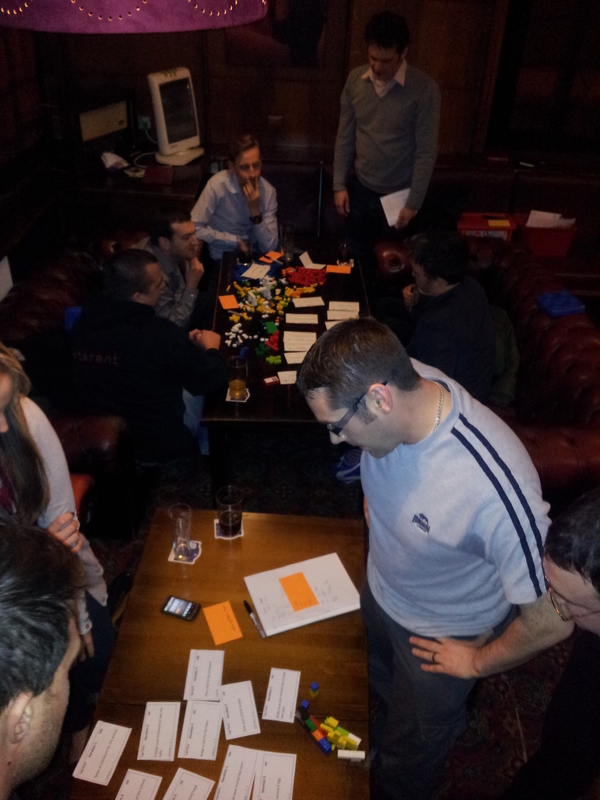 Last night at North West Tester Gathering Liverpool we played the Scrum version of the Lego Game. This is slightly different to the Lean version in that it is demonstrating collaboration & communication between members of the delivery team as opposed to demonstrating the principles of Lean development. There was a good turn out for the session with 12 people taking the time out of their day to come & play with us. 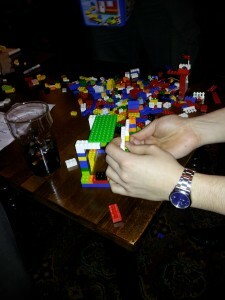 There was a good spread of job roles; largely Testers, some Test Managers, a Project Manager and a Sys Admin. Stu very kindly offered to run the game & act as Product Owner (PO) for one team, whilst Si kindly stepped up to be the PO for the other team. 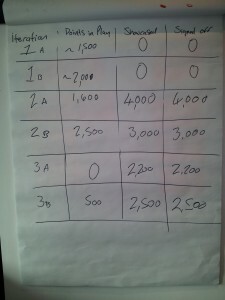 The format of the game was simple – 3 iterations each containing a set of stories (requirements / features) which needed to be delivered in a given iteration. 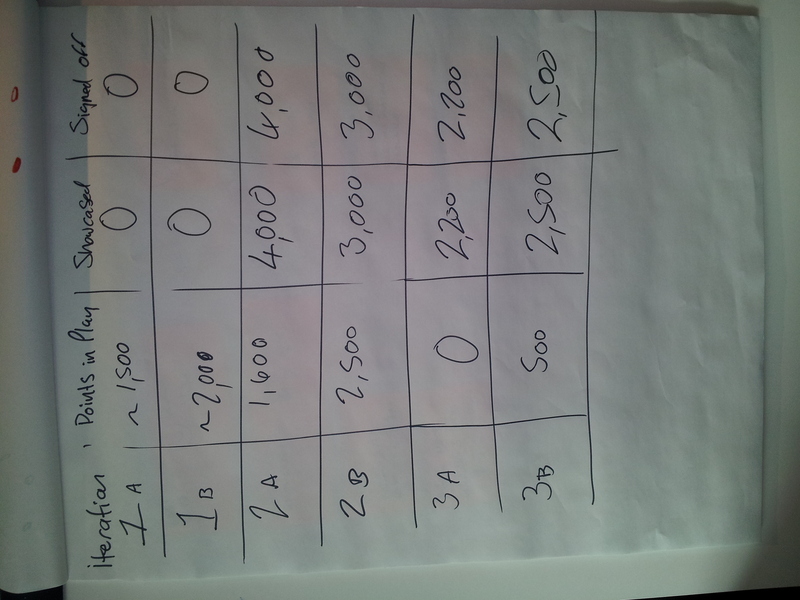 Each story card had a (cost) value assigned to it as well S/M/L estimation options which we could circle as appropriate. 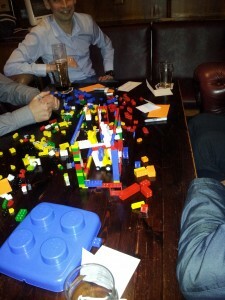 For the 1st iteration, the POs left us to roam amongst the stories & get lost in the Lego bricks scattered over our tables. Carnage. Both teams failed to deliver any stories / features in the 1st iteration with a lot of stories still in play. We had delivered no value in the iteration. We had a retrospective to see what went not so / well & to see how we could improve in the 2nd iteration. The pressure was immediately on in the 2nd iteration – the timer started as soon as the PO gave us our story cards for the iteration. Not only did we still need to deliver features from the 1st iteration, but now we had the features in the 2nd iteration to deliver as well. It took us a while to get focused & drive out a plan, but unfortunately this took up at least half of the iteration. We split the features amongst ourselves to complete the features in pairs, parallelising if you will, to try & get more features showcased & signed off. The 2nd iteration proved more successful, with both teams managing to deliver some features, although not all the features allocated to both iterations. 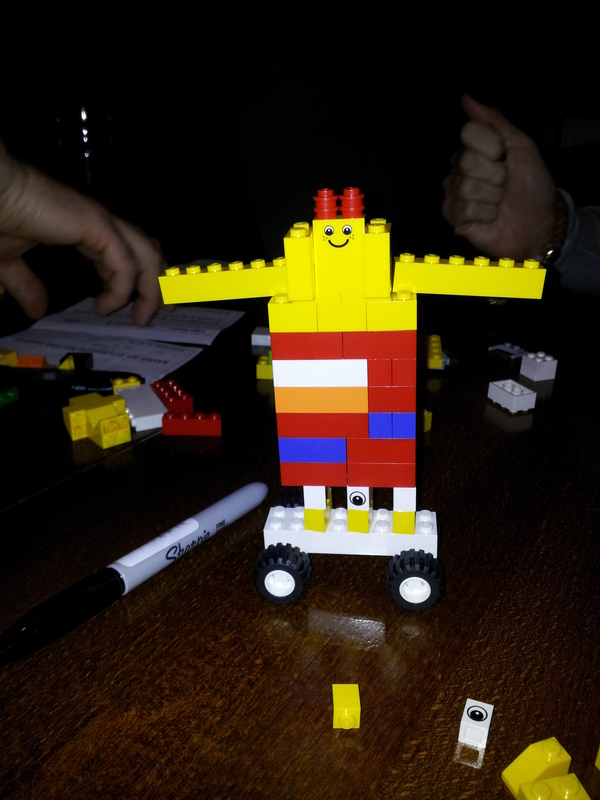 Again, another retrospective – more smiley faces this time, more features delivered, more lessons learned. The 3rd iteration had fewer features to deliver, but it was the same duration – this is our chance to catch up we thought! We still had undelivered features from both 1st & 2nd iterations so we were still up against it! Finally the 3rd iteration was over & the scores were in… We still had some undelivered features, but the other team had delivered everything! We couldn’t help but thinking there was some cheating going on! The 3rd & final retrospective was great & it naturally flowed into conversation about our experiences of testing in both Waterfall & Agile environments & it was great to hear about the pain points of Testers have to go through. Other peoples views & opinions helped me to reframe my problem & tackle it in another way that I hadn’t thought of. I hope I managed to repay the favour! There were a lot more intricacies to the game – the POs would occaisonally throw a curveball for example – & I took a lot from the session. I don’t want to put everything down here as I wouldn’t want to sway how you might play the game, should you want to (I’d definitely recommend it)! The overall feeling from the group was the game did achieve what it set out to & that was to demonstrate the benefits of collaboration & communication. 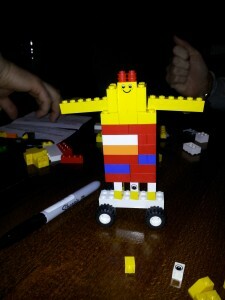 Overall, a great night where I didn’t need to feel embarrassed about talking testing – hopefully we can have many more. 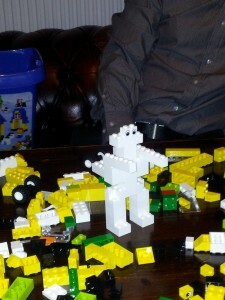 Thanks to all who attended & helped out – you all made it the night it was!